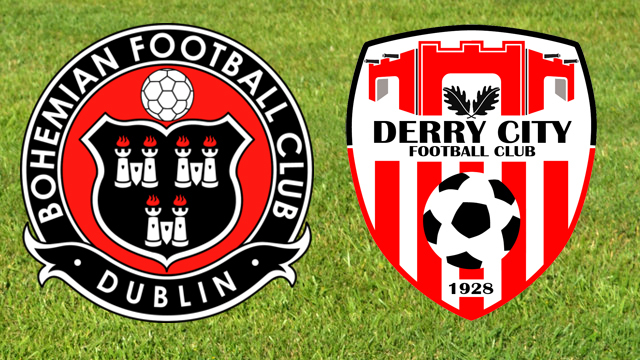 Kenny Shiels’ Derry City side travel to Dalymount tomorrow for the opening fixture of the 2017 season, hoping to get the new campaign off to a positive start. The Candystripes have enjoyed a decent pre-season build up, losing only once, and with team trips to Holland and Dublin completed, the squad get down the real business tomorrow night at the historic Dublin venue. This will be last season of the current Dalymount prior to planned redevelopment work and the Candystripes will be keen to ensure that they gate crash the season long farewall party which starts tomorrow night. A large number of trialists have appeared for City over the close season, but Shiels have made only judicious investments in his side in key area. Starting at the back, Eric Grimes will serve as back up for Gerard Doherty, Shaun Patton having moved to Sligo over the close season. In the defence, ongoing injury concerns over Ryan McBride and Aaron Barry have forced the City boss to experiment with a number of combinations in friendlies. Aaron Netzer a young centre half arrived last week and has signed for the season, having spent time in Romanian and Israeli football. Scott Whiteside and Sam Todd have seen plenty of action in the warm up games, as the City boss has trialled with a 3 man back line. Aaron Barry made a return in recent pre-season games as he continues his rehabilitation from surgery towards the end of last year. However with the expansive surface at Dalymount, it may have come too early. Conor McDermott was one of City’s break through players last year, coming from the reserve team to win Northern Ireland U-21 caps in the space of a couple of months and the youngster has lined out in defence and midfield, a sign of the flexibility. Ben Doherty, like McDermott, was another one of the break through players last season and offer more defensive cover, but also offering the option to play further up the field. Barry, McBride and Jarvis provide a solid spine of experience and paired with Gerard Doherty, City have a battle hardened back line. In the middle of the park, Mark Timlin and Nicky Low are the major additions to the Candystripes. Timlin, a Buncrana native, returns after a short spell with St Pats and marked his return to form with a goal in the final pre-season game against Dergview this week. Low arrives from Scottish footballer and the 25 year old is expected to be deployed as a holding midfielder. The manager has spoken on the plan to release Aaron McEneff and Barry McNamee to play further forward. Josh Daniels continues his development and has regularly lined out on the right hand side of midfield. Rory Holden, another of the reserves to see regular first team football is another seeking first team football in the centre of the park. Harry Monaghan will be looking to shake off the injury niggles that prevented a constant run in the team last season and will be looking to become a regular in the first eleven. Up front, City will continue to rely on Rory Patterson to provide the goals that fired City to 3rd place last season. The strikers hit over 20 goals in all competitions last season and City will be looking for a similar return this time round. Nathan Boyle weighed in with a few last year and will be looking to increase his haul. Ronan Curtis can place either wide on the right or also in a more central role. The youngster signed a new contract which keeps him at the Brandywell till the end of the 2018 season and will be looking to reinforce the impact from last season. Mikhail Kennedy was a surprise signing for many, the Derry youngster returning from Charlton on loan for a number of months. Kennedy was scoring freely at the U-23 setup at the Valley and has returned for first team football. It will be interesting to see the impact that he can have on the League here and also the lure of Europa League football. Turning to tomorrow night, City will look to replicate the performances in the 2016 season when they beat Bohemians 3 times in the League and also knocked them out of the Irish Daily Mail FAI Cup. Keith Long side had turned City over three times in the 2015 season but City turned the tables last year. Keith Long, like most LOI managers, has seen plenty of turn over of players in the close season. Keith Ward who sent last season at Brandywell has rejoined Bohemians and the Gypsies have also added Rob Cornwall who also turned out for the Candystripes. Dinny Corcoran from St Pats looks to be the other stand out signing of the close season. The other interesting thing to see those who have exited in the close season – Keith Buckley, Robert Lopes, Kurtis Byrne were important players for the Gypsies but have all departed. City were strongly linked with Ismahil Akinade over the close season but the ex-Bray mind signed on against at Dalymount. The striker was a complete handful for Bohs against City in the 2015 season when they destroyed City 4-1 at Dalymount but will be hoping for a better return than the 5 goals of the 2016 season.